Brad began creating the gap year travel program in 1995, and led its first team on a ten month around-the-world learning adventure through Asia and Africa in 1997. Much of his time over the past twenty-five years has been spent in Asia, Africa, and South America, where he has been active on the cutting edge of alternative learning, community volunteering, and world travel. Prior to founding Youth International, Brad worked with the world-renowned experiential education, community service and performing organization Up With People, and with several private ventures. Brad was also a leader with the US National Service program AmeriCorps. As a former consultant for the US National Crime Prevention Council, Brad has conducted workshops to train leaders from a spectrum of community service programs across the United States. He has also taught at the high school level in the United States, Canada, and Japan. A published author, Brad has written articles concerned with humanitarian issues in developing countries. 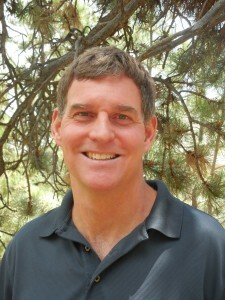 After leading the second Youth International gap year travel program through Asia for four months during the spring of 1998, Brad took a step back from continuous life on the road and now directs Youth International operations from the program’s office in Evergreen, Colorado. 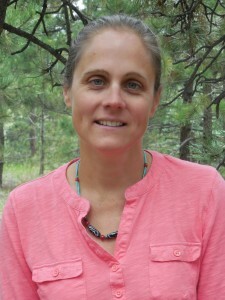 After earning a PhD in Classical Archaeology from UNC at Chapel Hill, Alex started her career in education in the Department of Classics at McMaster University, where she lectured, mentored students in the hands-on skills of field archaeology, and published scholarly articles on various topics in art history, archaeology, and cultural history. As an archaeologist, Alex spent much of her time traveling and living in Asia, particularly the Middle East. 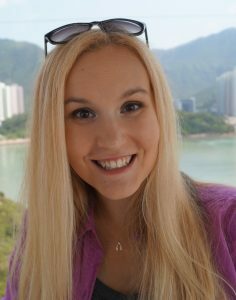 Alex made the move to the field of experiential education when she joined Youth International in 2008. 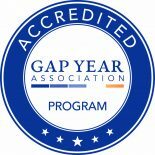 At Youth International, Alex manages the general administration of the gap year travel programs, with a focus on marketing, recruitment, and alumni relations. She still keeps one foot in the world of higher education, as course professor for the college credit options available through Western Colorado University. Prior to her work with Youth International, Hayley had led a wide variety of projects, ranging from working as an executive assistant, theatrical producer, client services specialist, legal coordinator, and teacher. An honours graduate of Queen’s University, she also completed training from Cambridge University in English language instruction to foreign speakers. Though she has dabbled in the film, media, and television industries at home in Toronto, Hayley is most comfortable living out of a backpack. After living and teaching in Vietnam for two years, she developed a taste for alternative lifestyles. Trekking vast farmlands of Myanmar, sailing remote islands in the Philippines, train-hopping in Sri Lanka, diving alongside manta rays in Indonesia… these past experiences are the tip of the iceberg for this adventure aficionado! Hayley currently assists with the general operations of Youth International. She also figureheads our online presence, managing all social media platforms and working with alumni to bring our archive of adventures to life. For flashbacks to past trips and information about upcoming team applications, follow us at @youthintl on Instagram and Twitter. Youth International LLC can also be found on Facebook. Each Youth International group is led by two experienced Team Leaders. The team leaders are people with extensive backgrounds in experiential education and with extraordinary experience living, traveling, working, and studying in the countries they lead. Youth International leaders have typically worked with the US Peace Corps, taught school, worked for foreign service organizations, or worked for other educational and service programs in Asia, Africa, or South America. Most have post-graduate degrees in areas such as alternative and outdoor education, service learning, and anthropology. Specific background information on the leaders for each individual trip will be provided to team members well before the start of their journey. Youth International also has local staff members in each location that a team visits. These are people native to the host country, and normally they are from the particular community where the team is staying. In most cases our overseas staff members have been working with Youth international teams for many years. These individuals have a personal connection to the community, the host families, and the projects we are working on. Their intimacy and understanding of the community and its people allows them to provide invaluable cultural insight and guidance for our team members. Learn more about our South America and Asia gap year travel programs here and feel free to get in touch with us with any questions.